﻿ How to solve second-degree equations step by step. Resolved exercises. How to solve second-degree equations step by step. Resolved exercises. Below we will explain the basic steps to help you learn how to solve all the second degree equations, both complete and incomplete. Second-degree equations are also known as quadratic equations. In general, second-degree equations are those where the x appears elevated to 2 in one of its terms. They can be complete or incomplete second-degree equations, depending on whether they all have their terms or not. Here I’m going to focus on explaining the full second degree equations. That is, the complete second degree equations are those that have an endpoint with x elevated to 2, term with x elevated to 1 (or simply x). If any of these terms are missing, we would be talking about incomplete second-degree equations, which are solved by a different procedure. As second-degree equations, they have 2 solutions. Remember that the degree of an equation is equal to the number of solutions. The first step in solving complete second degree equations is to identify the constants correctly. As we have said before, constants are the numbers that go in front of x squared, x and the term that does not carry x. In this case, in front of x squared, there is nothing, therefore a = 1. 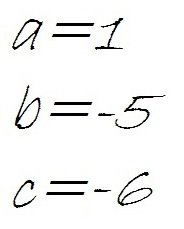 In front of x there is a 5, so b=5. And the term that does not carry x is a 4, so c=4. Remember that when there is nothing in front of the unknowns, it is because they are multiplied by 1, or in other words, it means that there is a 1 in front. When we have more practice, we will identify constants directly, without needing to transform our equation, but to begin with it is a very good way to avoid mistakes. Let’s see how it is used, solving the previous examples. Then the two solutions would be -1 and -4. If we had the case that the fractions were not exact, they would have to be simplified. Be very careful with the signs less than the constants. There are particular cases where the result of the root is negative, or that its solutions are not exact or the result of the root is not exact. Solutions to a second-degree equation do not have to be two different integers. In some cases, they may have a double or two complex solutions. Many times when the solutions are not complete, you begin to doubt if your solution is correct or not. And now, let’s see how the solutions of a second-degree equation can be. We come across this case when the root does not have an entire solution. 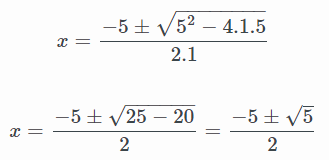 As a general rule, it will be left in the form of a root so as not to have to operate with decimals, although if we are solving a problem and the exact result is needed, we will have no choice but to solve the square root with the calculator. It is not mandatory to leave it in root form, but it is more comfortable to leave it like this, so you don’t have to drag decimals. The result could be given with decimals and would be just as correct. It is the same as with fractions, which when a result is not accurate, it is left in the form of a fraction. When we get to this part of the resolution, we see the root result is 0. It is resolved following the usual procedure, although it seems obvious to add and subtract 0, but it is a good way to reach the 2 solutions. Another way of indicating the solutions is to develop the general formula to the end, to arrive at a solution but to indicate in writing that it is a twofold solution. We come across this case when in the general formula, the discriminant or root result is negative. This sentence is equivalent to saying that within the set of real numbers, there is no solution (the solution is found in the set of complex numbers). In other words, as soon as we see the root with a negative content, we directly indicate that there is no real solution and that’s it. It is important not to forget the real word, because if you simply indicate “no solution”, it will not be correct, because it does have a solution, but not in the set of real numbers. Below we will explain the basic steps to help you learn how to solve incomplete second degree equations. Let’s see how each one of them is solved. Whose solutions are 2 and -2. That’s it, just like that. If in another equation, the root does not give exact, each result is left as a root with its corresponding sign in front of it. 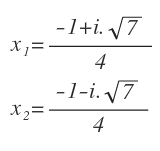 The first step in solving this type of incomplete equations is to draw a common factor, since an x is repeated in both terms. 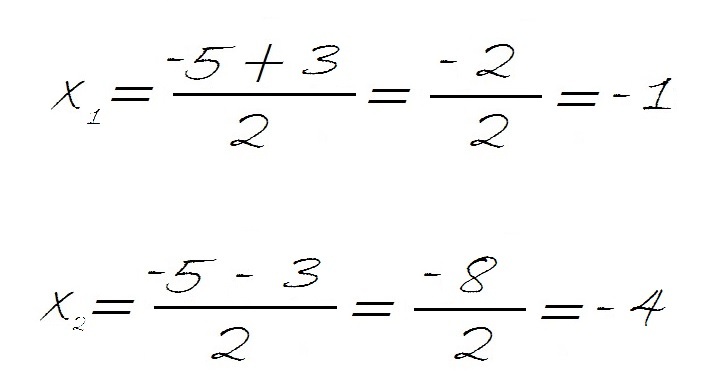 Cuando una multiplicación de dos factores tiene como resultado 0, quiere decir que uno de los 2 factores es 0, ya que cualquier valor multiplicado por 0 es 0. We continue with our equation. We have a case similar to a. b = 0: we have two factors (x and (x-3) whose result is 0, so one of the two must be 0, but we don’t know which one. You have to be very careful with negative signs when drawing common ground.